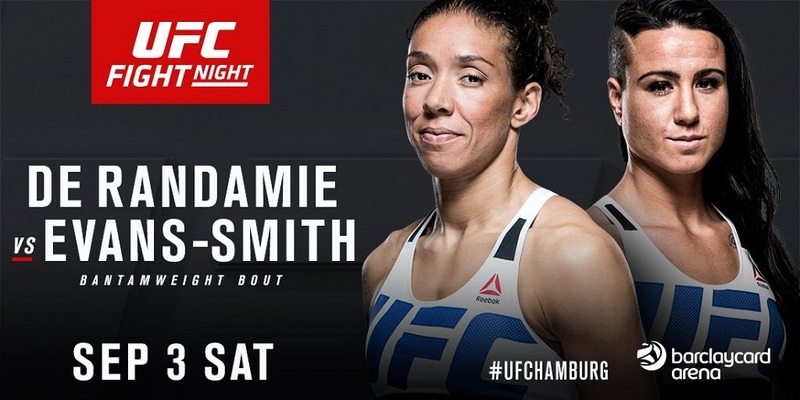 A UFC women’s bantamweight bout has been added to the UFC’s return trip to Germany on September 3 as the number 13 ranked Ashlee Evans-Smith takes on number 12 ranked Germaine de Randamie. UFC Fight Night 93 will be held at Barclaycard Arena in Hamburg, Germany. 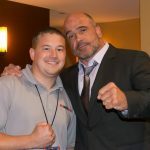 The entire event streams on UFC Fight Pass. Evans-Smith (4-1) 1-1 in the UFC is coming off a split decision win over Marion Reneau in Pittsburgh earlier this year. “The Iron Lady” de Randemie (6-3) holds a 3-1 UFC record and is on a two-fight win streak. Her only loss inside the octagon comes via TKO to the current UFC women’s bantamweight champion Amanda Nunes.